Our experienced Hastings plumbers can help you with water heaters, drains, sinks, toilets, pipes and filters. Want air conditioning repair done now? Your HVAC tech can get it done on the spot since our trucks are fully stocked. Your professional Hastings electrician will explain the problem and give you the cost to repair before any work is done. Control and automate your lighting, heating, ventilation, air conditioning and home security with On-Time Service. We’re On Time Service Pros, a three-part company consisting of One Hour Heating & Air Conditioning, Benjamin Franklin Plumbing, and Mister Sparky Electric: the guys and gals you call in Hastings Minnesota and the surrounding areas when you’re fed up with subpar home comfort service. In a nutshell: We’re a fan of old-school customer service when it comes to heating, cooling, plumbing and electrical work in Hastings. We treat you like customers were treated long ago: when customer service was less about saying “I’m sorry” and more about saying, “My pleasure.” See how we’ll treat you special. Our services in the greater Hastings area include furnace and boiler repair, AC maintenance, water heater replacement, home security, clogged drains, water softener installation, lighting and wiring, and much more! In addition to offering impeccable service and repair, we are the company that guarantees we will be on time, every time, or your heating, cooling, and electrical repair is free. Our Hastings plumbers, electricians and HVAC service pros have served the communities of Minnesota since 1945. We can come to your home in Hastings, Apple Valley, Bloomington, Burnsville, Chanhassen, Cottage Grove, Eagan, Eden Prairie, Woodbury, Lakeville, Rosemount, Stillwater, Victoria, the southern metro area and other nearby communities with quality HVAC, plumbing, and electrical service. 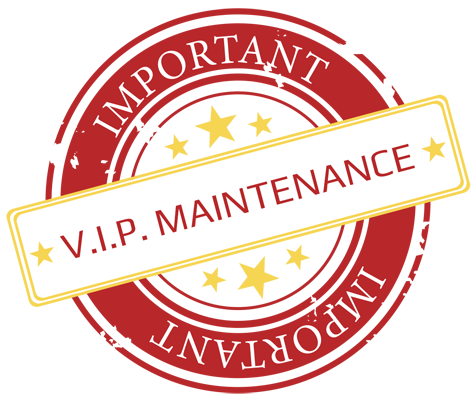 The On-Time Service Pros team proudly offers our clients our V.I.P. (Vital In-Home Protection) Maintenance plan, for one low monthly payment of $19.95. This plan includes services provided by all three branches of our Hastings company — One Hour Heating & Air Conditioning, Benjamin Franklin Plumbing, and Mister Sparky Electric — so that each of our customer’s homes are protected, from their HVAC system to their garbage disposal. These plans include an annual safety inspection for the furnace, air conditioning system, whole plumbing system, electric panel, and whole home electrical system. In addition, customers with our V.I.P. plan receive a 15% discount on all repairs and 2-hour guaranteed maintenance appointments. Choosing On-Time Service Pros and our V.I.P. plans ensures you receive same day, front of the line service! Contact us today to learn more!